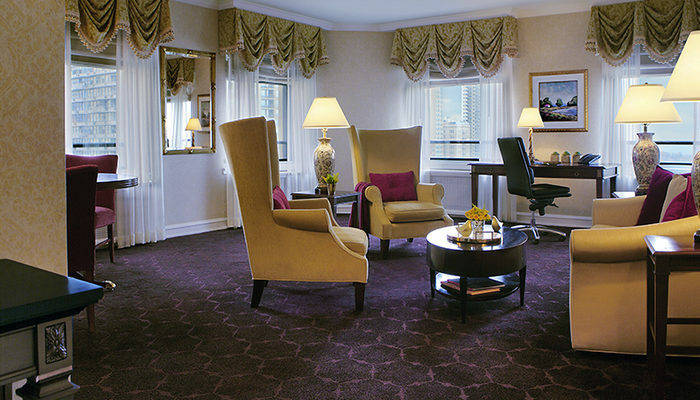 Designed to the highest standards of hospitality, suites at The Drake, a Hilton Hotel are the perfect combination of classic elegance and modern conveniences. The Executive Suites featured at The Drake offer 430 square feet of brightly lit work and relaxation space. Glimpse at the Windy City from the cornerstone of the Magnificent Mile. The Drake, a Hilton Hotel rises up over Lake Michigan’s Oak Street Beach. The stunning waterfront views can be seen from all of our spacious Michigan Suites or enjoy the shimmer of Streeterville from any of our Gold Coast Suites. Every suite bestows a king size plush Hilton Serenity by Serta Mattress and private parlor area. 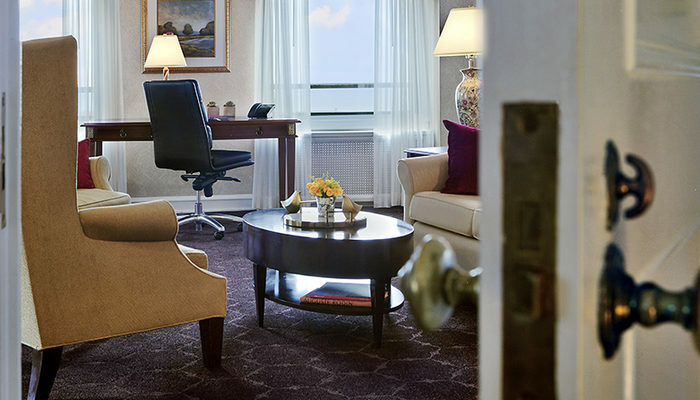 In addition to our plentiful customary amenities, Executive Status guests are offered access to the Executive Lounge. The Executive Lounge is an ideal space for meetings or recreation open from 7:30 AM to 10 PM Monday through Friday and 7:30 AM through 10 PM Saturday and Sunday. For your convenience, coffee, tea and soft drinks are available all day. Alcoholic beverages can be purchased after 4 pm.